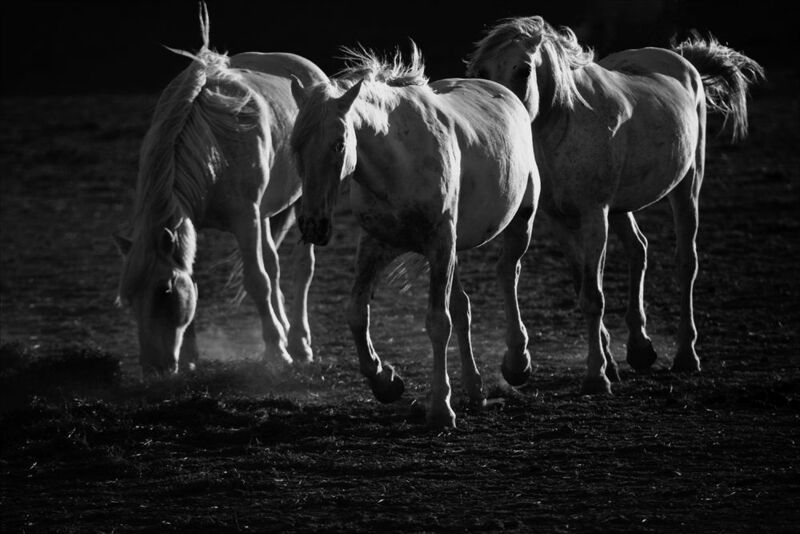 Camargue Horses are bred for their strength and character, there are no more wild ones left. They have been tamed by the Carmargue gaurdians whom now look after them. They wander the Camargue in small numbers and fenced to protect them, some are used for films and corraled for photographers on tours. These were in a large corral and the light made the image.